Moviemov: Italian Cinema Now ~ Philippine Freebies, Promos, Contests and MORE! 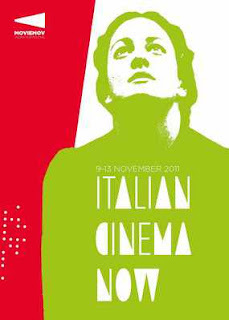 Another exciting event this month awaits moviegoers as the Italian embassy along with the other film organizations and sponsors from the country present Moviemov: Italian Cinema Now. As supported by the General Direction for Cinema of the Italian Ministry of Heritage and Culture, Movivemov - a traveling festival - aims to have future collaborations and lasting partnerships between Italian and Filipino filmmakers so they can have an international exchange of ideas and concepts in making films. Movies including tributes to the famous Italian horror film director Dario Argento, Bernardo Bertolluci, a great Italian director are in the line up. It also features films from award winning Filipino director Brillante Mendoza. The Conformist, Last Tango in Paris, The Dreamer, Serbis, Lola, and Kinatay are among the pool. Admission is FREE so come to Greenbelt 3 Cinemas at least an hour early to guarantee your ticket. Today is Peping's wedding day with the mother of his baby. A poor police academy student, he can't turn down an opportunity to make money. Peping naively accepts a well-paid job from a corrupt friend and falls into an all-night nightmare, the kidnapping and torture of a prostitute. Is he a killer himself? Watch and enjoy as many films as you can! Promo Prize: FREE International Films!